13. Be One. 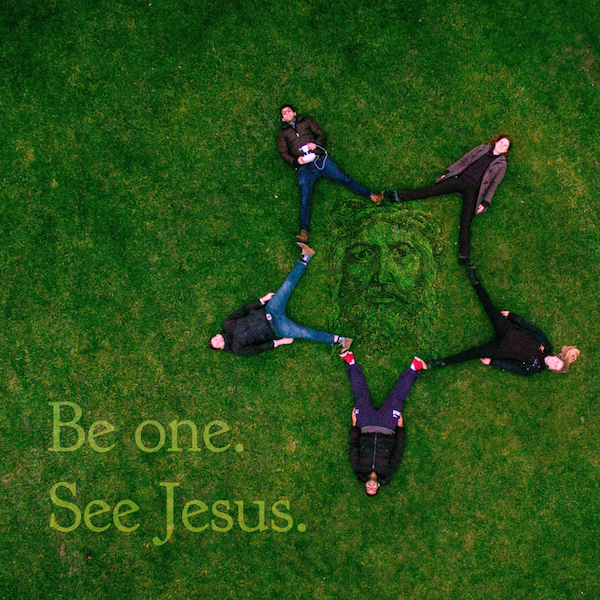 See Jesus. It's time to come out from hiding. You've been looking at the outside world from inside your box long enough. You have already been made to shine. The light of Jesus is on you and in you. It's now just a matter of displaying your light - choosing not to cover it up. 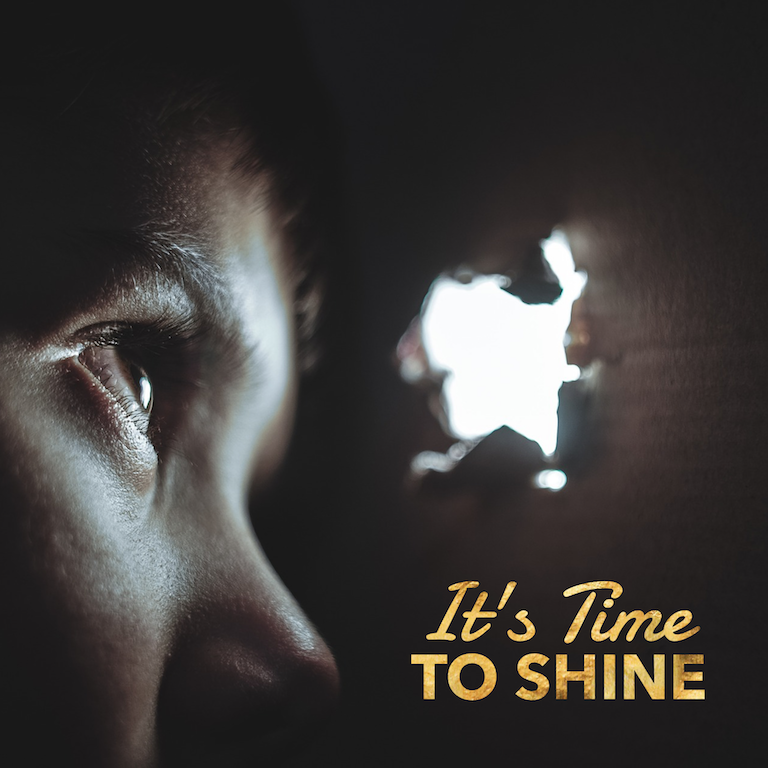 Will you find ways of bringing the light of Jesus into dark situations? Or will you cover up your light to match the shades of darkness around you? How do you draw people to Jesus? Walk in the light and get filled with his light. This means to be known for who you are. Let God's Word convict you and draw you into deep submission to Jesus. This honesty and humility in living is the light that people will be attracted to. Light makes everything clear. So be clear about who you are and who Jesus is, and you will draw people to his light. They won't miss it. If you don't speak, they won't believe. Your voice makes the difference in people coming to know and love Jesus. God wants to use your mouth to break through unbelief and see salvation spread to many people. In Matthew 28:18-20, Jesus recognizes that all authority has been given to him. And with that authority, he calls us to go and make disciples of the nations, teaching them to obey his words. One would think that Jesus could just sort evangelism and discipleship by himself. But, he calls us to be the ones to open our mouths and spread the good news. Since Jesus is determined to involve us in his purposes, he calls us to tell people of his great love. 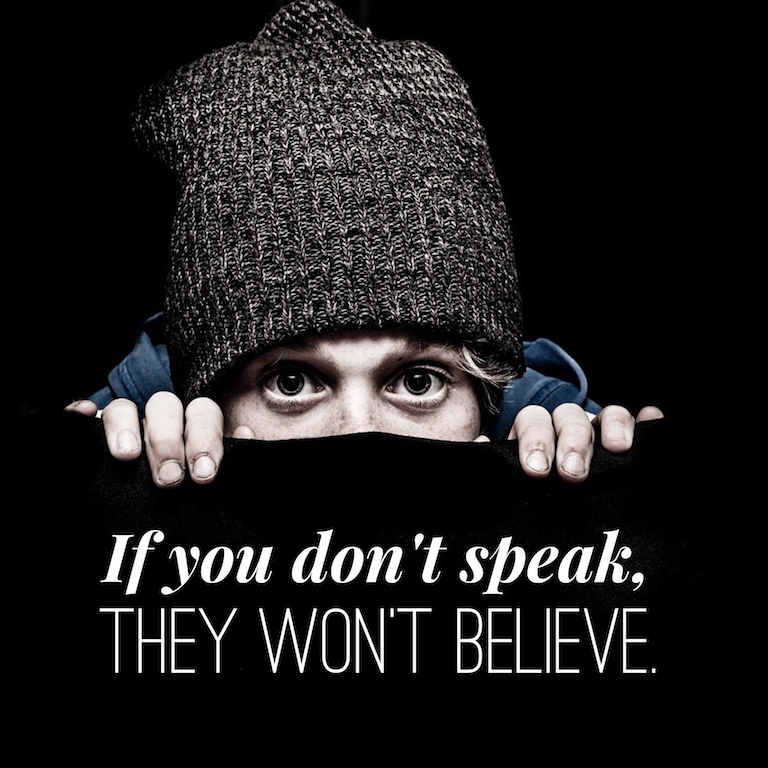 If we stay silent, people are kept away from hearing and believing in Jesus. So take your opportunities to speak of Jesus' love. Give testimony to God's power in your life. Share the good news of Jesus' death and resurrection. Open your mouth. Don't stay silent. The lost will not hear and believe unless you say something. You have a purpose. You have been called. You have been chosen to declare God's praises… to proclaim his salvation… to rescue those in darkness. This is not a question. God's hand is on you. You are the salt of the earth. Salt preserves and protects. It keeps the flavor in and keeps food from spoiling. God has called you as his preserving agent in your community and the nations of the earth - to lock in the flavor of God's blessing and salvation in your area. Salt also causes thirst… making people come back for more. So you can whet people's appetite for God and keep them coming back for more. But, it's possible for salt to miss its purpose… to lose its saltiness. Even though you have been called by God to bring his presence where you walk, it's possible that you will miss the point. How? If you don't use it, you will lose it. If you don't use your gifts and resources to extend God's kingdom, your "saltiness" will be lost. 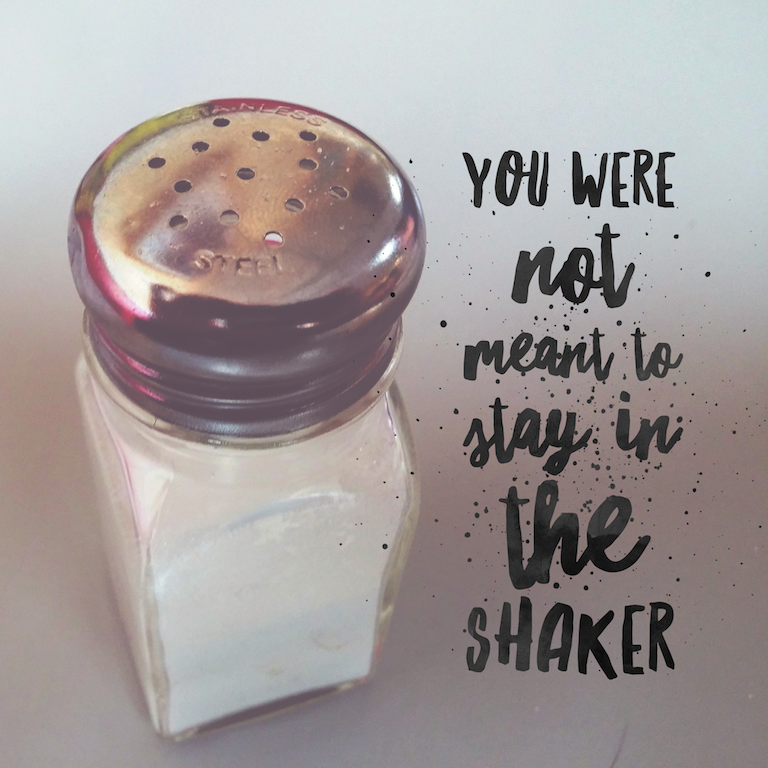 Salt wasn't meant to stay in the shaker. So use what you've been given to reach the lost. Would you be able to give a testimony right now of the hope you have in God? Could you talk about a current way that God has revealed himself to you? It's time to get ready. Get prepared for the divine appointments that will be coming. Often, we pass up opportunities to talk about Jesus with people simply because we are at a loss for words. We're not ready. So take some time to think about, write down and practice speaking some simple testimonies about God's movement in your life… perhaps a story of God's provision, his comfort, his conviction of sin, or his forgiveness. The best preparation, however, is to reaffirm the Lordship of Jesus in your life. When he presents an opportunity to witness, he means for you to obey by seizing the opportunity. He does not get glory through delayed obedience. When Jesus is Lord of your life, you will lay down your rights to remain silent, remain comfortable and not be embarrassed. Make the decision that Jesus is Lord, and that you will speak whenever and to whomever he wants you to. It's time to get ready. 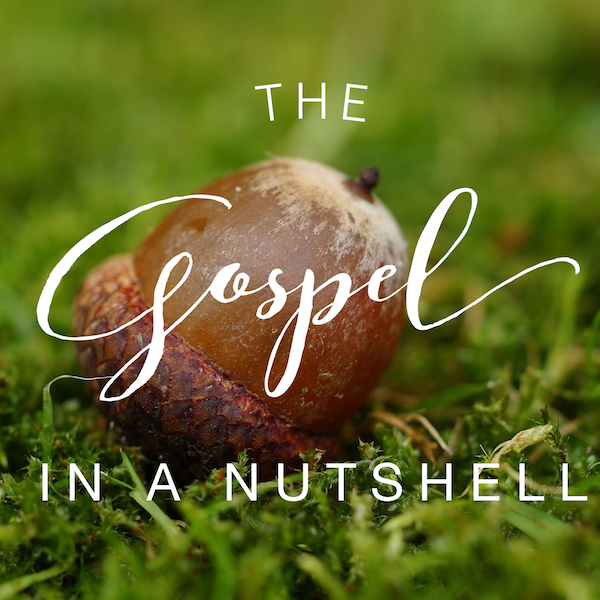 Do you know the core of the Gospel message? Sometimes we can get lost in lots of details when we sharing the good news of Jesus. But, what is essential to focus on? Jesus. His death, resurrection and his personal invitation to believe. The Gospel is all about the Father sending his Son, Jesus, as a sacrifice for our sins. Jesus then proved his power over sin and death by rising from dead. After his resurrection, Jesus just didn't disappear. He personally showed himself to over 500 people - inviting their response of faith. Paul said in 1 Corinthians 2:2, "For I resolved to know nothing while I was with you except Jesus Christ and him crucified." Keep the person and work of Jesus central in your witnessing. Don't talk in general terms about God, love, peace and purpose. Bring up the name "Jesus", what he did on the cross, and what he is doing in your life today. The core of the Gospel message invites response. Jesus showed up to over 500 people after his resurrection. So the people that you are sharing with need to know that their response to Jesus matters. Never leave someone with the truth about Jesus without inviting their response. 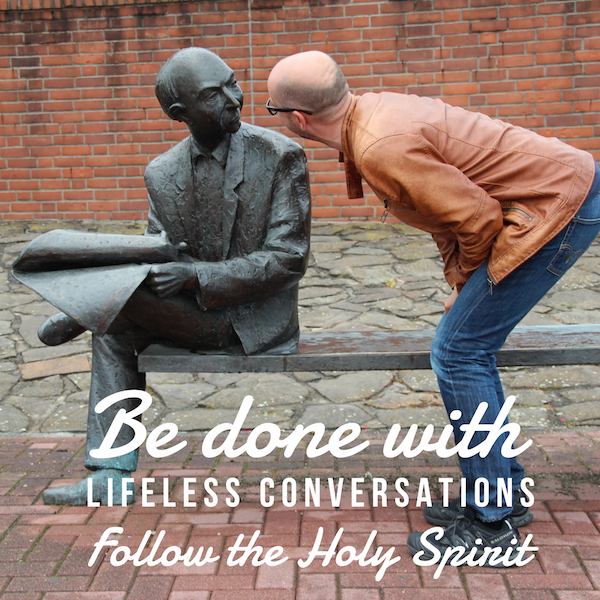 Will you step out and share the core of the Gospel message with someone today? Do you often feel powerless and weak when it comes to evangelism? You know that sharing your faith is God's desire for you. But, it seems really difficult to break the sound barrier and actually do it. Do you need a self-help lesson on positive thinking? Would another course on the ABC's of witnessing work? No, what you need is the power of the Holy Spirit. That is why He came after all. We often think that the main reason the Spirit came was to spread his gifts out among the church. He does give many gifts - that is true. But Jesus said that the Spirit would come for the expressed purpose of empowering his disciples for giving testimony to the life, death and resurrection of Jesus. You need a fresh encounter with the Holy Spirit in order to be empowered for evangelism. Call out for the display of his power in your life - specifically in the area of conversing with unbelievers. Watch for opportunities to activate his power by praying for the sick or any other need that arises. Cry out for the Holy Spirit's power. Now step out and begin that conversation with one that doesn't know Jesus. His power will carry you and provide the breakthrough. Are you fearless in evangelism? Probably not all the time. Fear of man, fear of rejection, or fear of failure can grip you. This is common. You're not alone. Paul even asked for prayer that he would fearlessly make known the Gospel. He knew that his own bravery was not enough. So he asked for prayer. It is in prayer that we gain courage to share our faith. It is in prayer that defensiveness to the Gospel falls down. It is the key to opening doors in evangelism. Once you have spent time praying for boldness in evangelism, it is then time to step out and speak to the unbeliever about Jesus. Courage will not kick in until you start speaking. Prayer releases the power of the Spirit. Obediently sharing the Gospel activates his power. 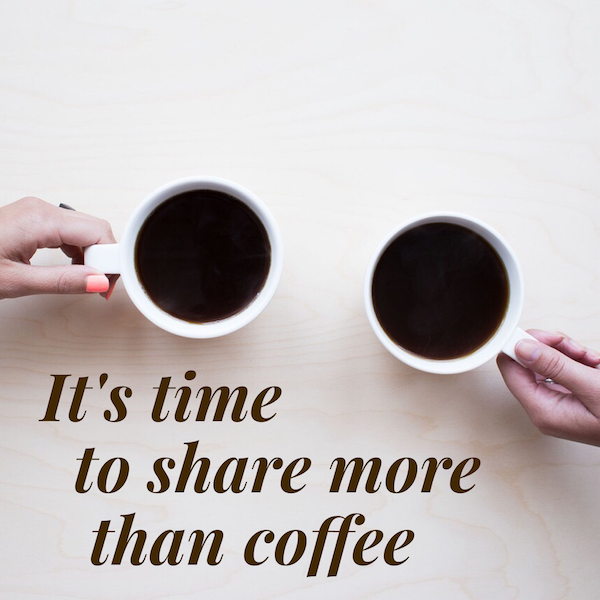 It's time to share more than coffee. God loves his creation. He loves every color, race and language. He doesn't want anyone left out from hearing the good news. So God commands us to go everywhere and preach to everyone. Does this command seem overwhelming to you? Was God only talking to a certain category of Christian (i.e. the missionary) when he gave this command? No, this command is entirely possible for you to obey. But how? The point is that we are already spread throughout the world. So, find someone where you live who doesn't know Jesus. Share with them the good news. But don't stop there. Keep sharing. Be ready for God to move you to a new location - even a new location at your school or in your town. There are more people that need to hear. You've got to start somewhere. Be obedient by seizing the obvious opportunities. Then seek God to reveal new places and new people to talk to about his wonderful love…. until all have heard. Together we can reach everyone, one person at a time. Do you ever feel at a loss for words when sharing the good news of Jesus? 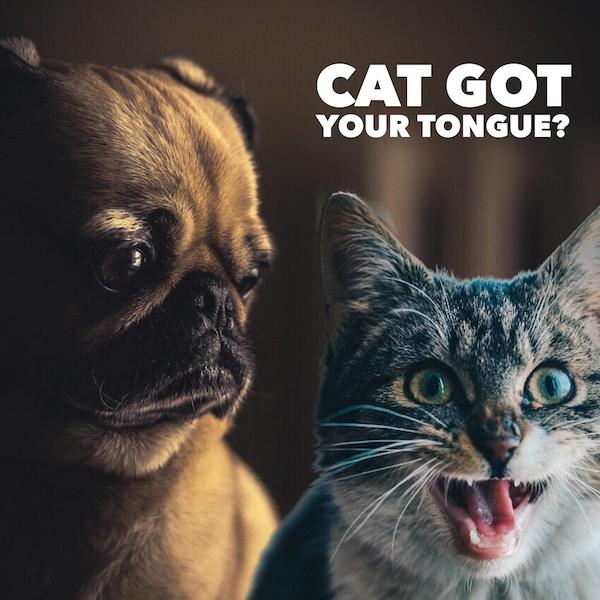 Stumbling over phrases, struggling to get your meaning across? Here's a secret. You don't have to have the answers. Jesus, the Creator, didn't just "make things up." He could have come up with the most eloquent phrases to woo the crowds. But he didn't. Scripture says that Jesus only said what his Father gave him to say. Jesus was completely dependent on his Father for every word. The Father stayed close to Jesus and fed him all of the needed words in every situation. Do you believe that the Father would speak to you as well? You can learn to listen and depend on the Father for your evangelism. Don't just "make things up." First, ask for the Father's direction. Then follow his simple promptings. 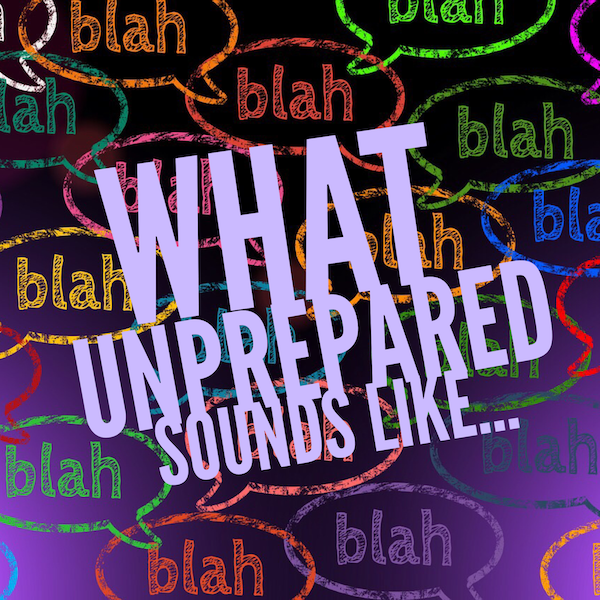 In your evangelism preparation, spend more time listening and depending, rather than plotting and strategizing. Jesus came to earth to show us how to relate with his Father. Trust that he will speak to you today. Jesus spent most of his three years in ministry healing the sick, casting out demons and teaching. His proclamation of the good news was most always combined with a display of his power. The Holy Spirit shows the same method of evangelism in the book of Acts. "Everyone was filled with awe, and many wonders and miraculous signs were done by the apostles." (Acts 2:43) The early church was founded on the proclamation of the Gospel and the manifestation of the power of God. Would you ask God to reveal his power in your evangelism? Ask unbelievers if there is any need you could pray for - physical pain, family issues, school / work problems. Then step out and pray in faith. 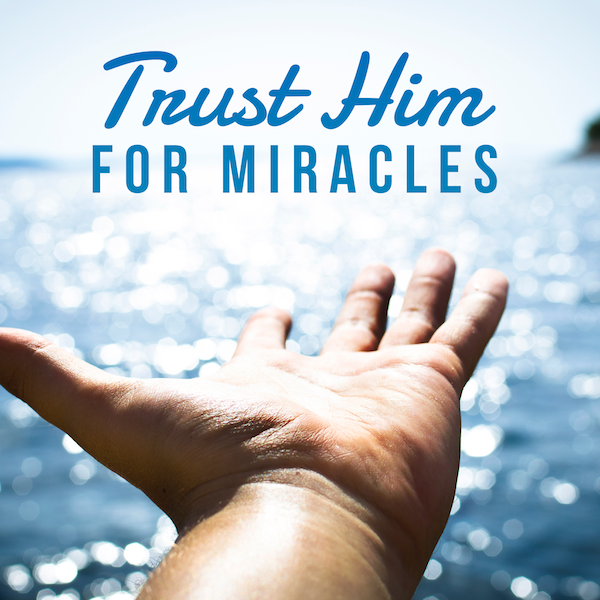 Trust God for miracles. The more you step out and pray for people, the more miracles you will see. The visible power of God and the proclamation of the Gospel are meant to go hand in hand. 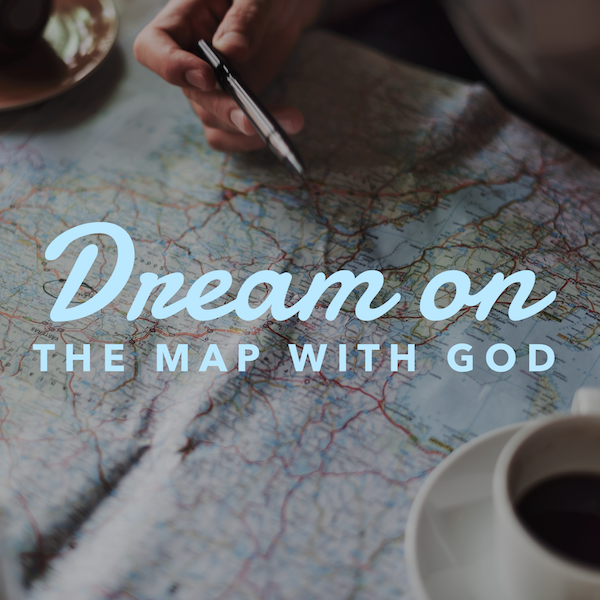 Take some time to dream on the map with God. He loves the nations, and he wants to put his heart in you. Your desire to travel, see new places, and meet new peoples comes from God. So where could you go next with God? Revelation 7:9 gives us the picture of what will be a reality - people from every tribe, nation and tongue worshipping Jesus together. How will this become a reality? Our evangelism strategy must incorporate more and more nations until all have heard. Ask God to put you into contact with different nationalities in the community that you live. Look for them. Ask questions. Get to know the amazing variety and beauty in the different cultures God has created. As you value and honor your new friends of different nations, the road will be paved for your Gospel message. Take a step further. Get on a plane. Take a train or bus. Go to the edges of the map with God to bring his lost ones home. Have you ever wondered what kind of response you should call for when sharing the Gospel? How did Jesus do it? He called people to repent and believe. Committing your life to Jesus without repentance - turning away from sin - doesn't work. To follow Jesus, he says that we must forsake (stop doing) all known sin. And he helps us do this by the power of the Holy Spirit. When we lead people to Jesus by only speaking of free gifts of love, joy, purpose and peace, we aren't really leading people to follow Jesus. For there is no salvation apart from repentance. Sometimes we feel that repentance is too confronting for people to handle. So we shy away. 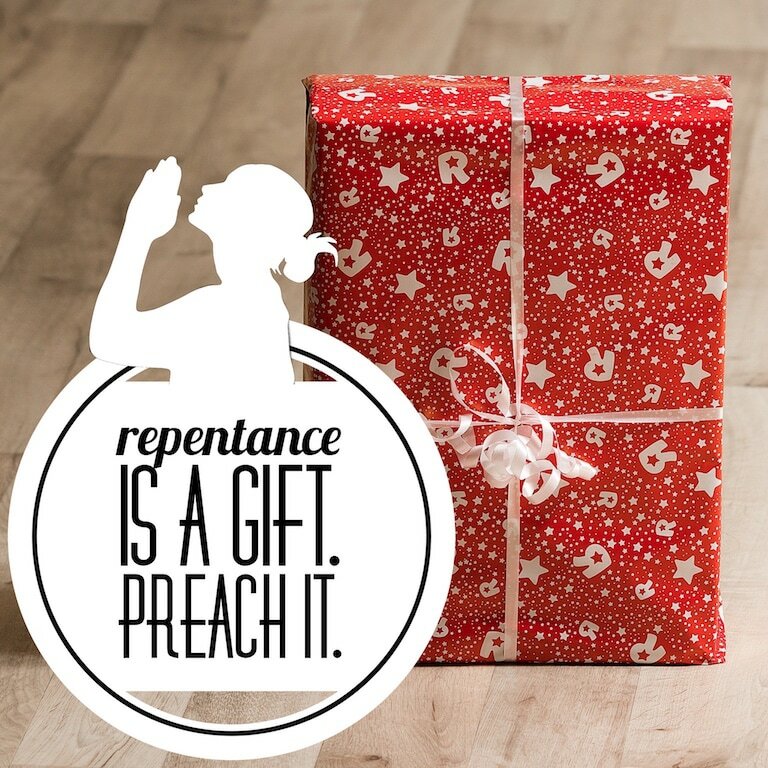 But, actually, repentance is a gift. It opens up the way for intimate fellowship with God. Love people enough to tell them to repent of their sins. Jesus did this. Peter did this (Acts 2:37-38). Repentance is a gift. Preach it. What will draw unbelievers to believe in Jesus? Our love for one another. People need to experience that Jesus is real first-hand. They need to see the difference he makes in everyday life. They can see this most easily through how we care for each other in the church. This kind of love is contagious. Jesus' approach to evangelism was typically a team approach. Why? He created us to be in community… to love one another. The best way for unbelievers to see Jesus is in the love expressed in our team. They will attracted to this team / family of God approach. Our personal approach in evangelism is also important. Can they see that we care… that we ask questions about their lives… that we spend time listening? Do we treat them as family or a potential convert? The love in our communication and in our community is the key to people seeing and believing in Jesus. Let love lead you. 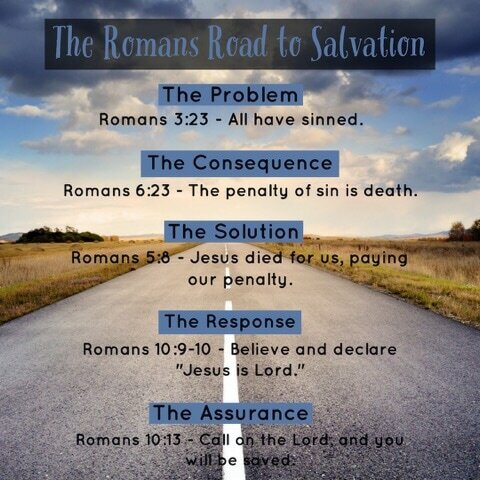 The Romans Road to Salvation. Here is an easy-to-remember Gospel presentation. Save this photo, share this photo for use in evangelism. Commit the following verses to memory. Then, you can use it whenever / wherever the Holy Spirit prompts you.